For robust, dedicated push-to-talk communication, look to the VX-450 Series. Water submersible and available with HazLoc consideration, it’s built for use in harsh conditions and hazardous locations. 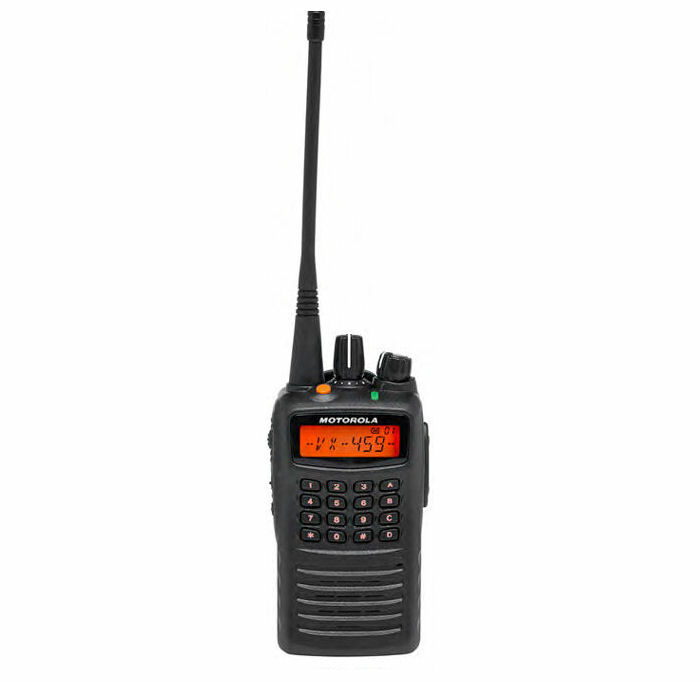 With enhanced interoperability, the VX-450 series offers comprehensive signaling options including: MDC1200®, DTMF, deeper and richer 2-tone options, as well as 5-tone capabilities. And it integrates seamlessly into a mixed fleet, while allowing your system to grow as your needs do. Compatible with the universal battery system, you’ll eliminate equipment clutter and confusion by standardizing on one charging base for the entire team.